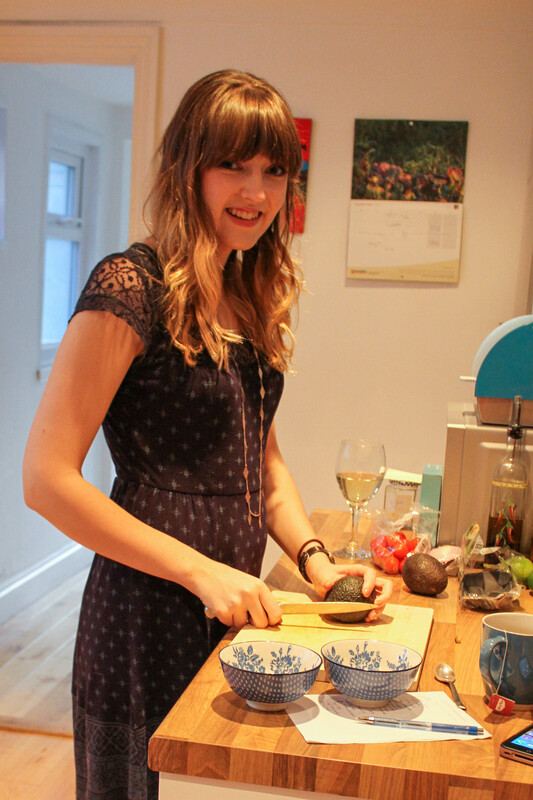 When I first started my internship with Sainsbury’s Magazine, one of the first things I was struck by was that everyone there loved food as much as me. And that was reflected at lunch time: I found myself gazing admirably at pre-prepared feasts while I surreptitiously tried to hide my Pret wrappers. I needed to step up my game, so I bought myself a fancy lunch box (the idea being that a fancy lunch box would guilt me into better lunchtime organisation), and started planning meals. 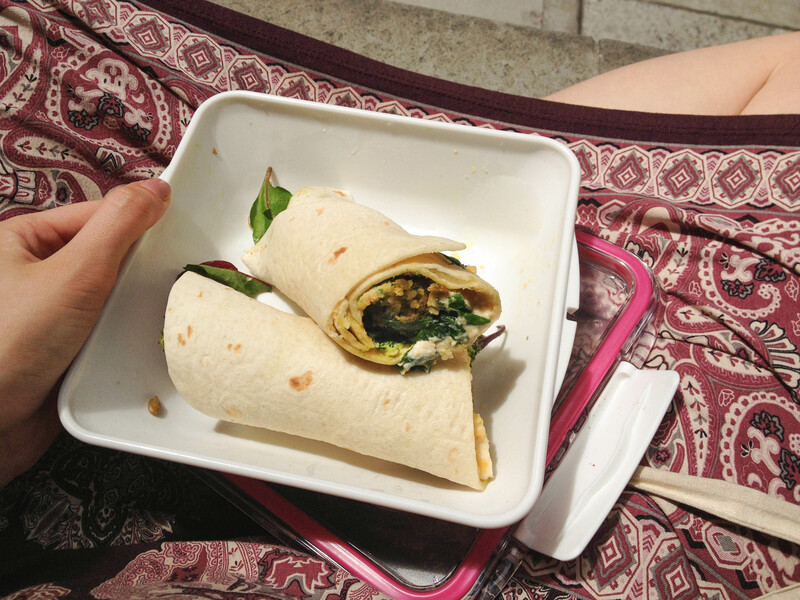 Below are my three favourite so far – they’re suitably summery, healthy and delicious, and also have the added bonus of making me feel proud when I pull out my lunch box. Cut 75g sweet potato into small chunks. Drizzle with olive oil, sprinkle with salt and pepper and roast in the oven at 200°C for 30 minutes, stirring half way through. Set aside to cool; refrigerate once cold. Mix together ½ pack of quinoa and red rice mix (or similar) with a handful of mixed salad leaves. 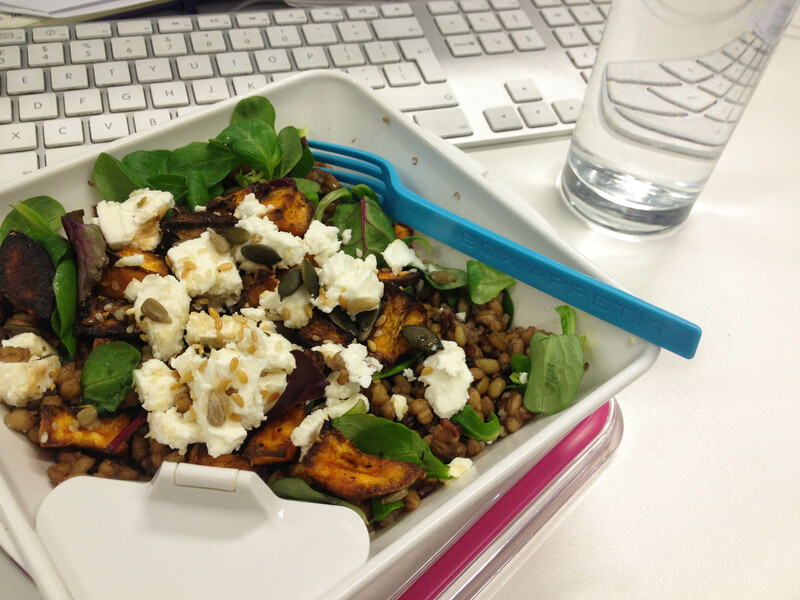 Scatter over the roasted sweet potato, some feta cheese and 1tbsp mixed seeds. For the salad dressing, put 1tsp balsamic vinegar, ½tsp sesame oil, 4tsp apple cider vinegar, 2tsp olive oil and a grinding of black pepper into a small pot. Shake. Drizzle over the salad just before eating. Bake four falafels (I like the cauldron ones if I haven’t made my own) according to the packet instructions. Heat a large wrap in the microwave for 10 seconds, then spread with hummus. Top with your choice of salad leaves, 1 tbsp mixed seeds and the falafel. Drizzle over some pesto, then wrap tightly and cut in half. Roast half an aubergine (scored and drizzled with olive oil), a clove of garlic, a small red onion and a few cherry tomatoes at 200°C for 45 minutes. Cook 30g of couscous. Scoop the soft flesh out of the aubergine and mix into the couscous, along with some crumbled feta cheese and a small handful of fresh coriander. Roughly chop the aubergine skin, and mix into the couscous along with the other roasted vegetables and some salt and pepper. To make the tzatziki, finely chop some cucumber and fresh mint and stir them into some natural yoghurt. Toast 2 wholemeal pittas and cut into strips. If possible allow to cool before putting the lid on your lunch box. 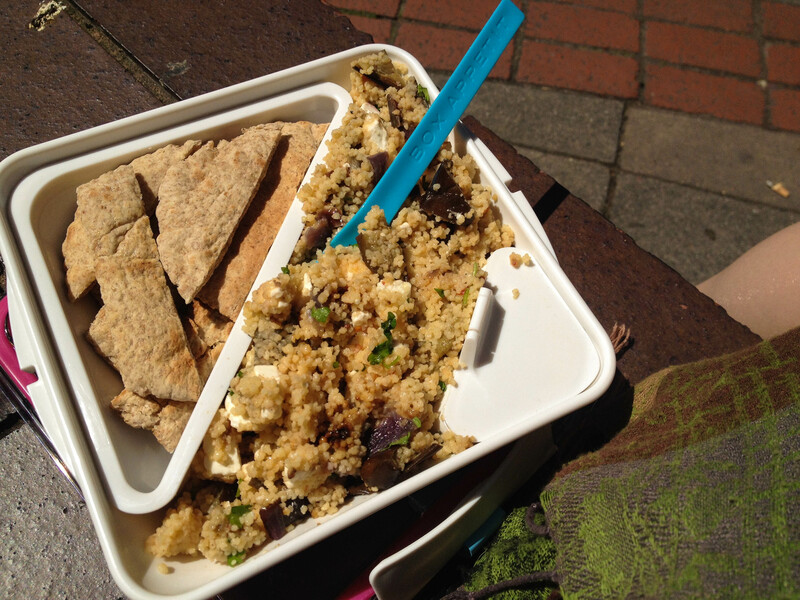 If you have any great packed lunch ideas do let me know in the comments below! I’d love to expand my repertoire, and I’m always up for trying something new.